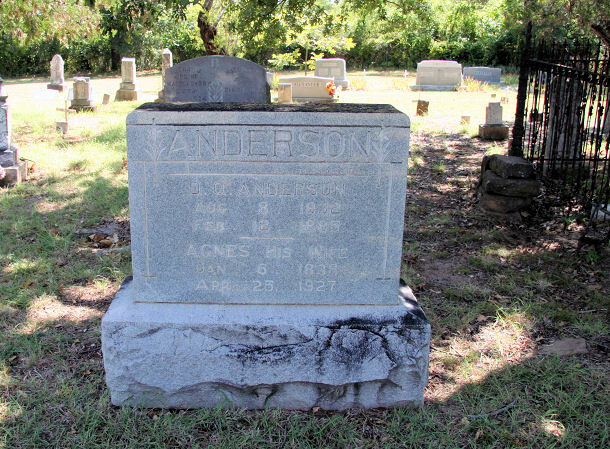 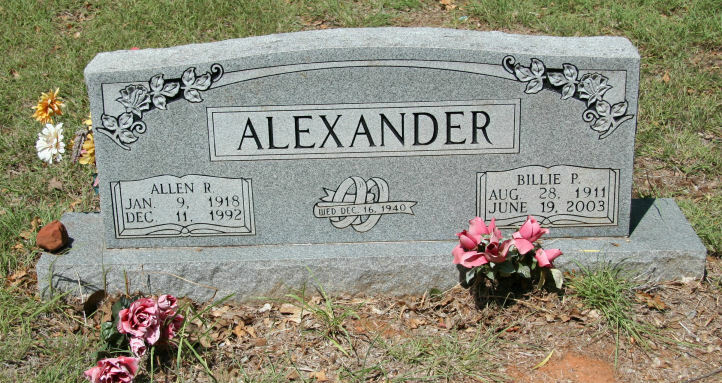 Alexander, Billie P. 28-Aug-1911 dmw Allen R.
Alexander, Allen R. 9-Jan-1918 11-Dec-1992 dmw Billie P.
Anderson, Agnes [McPeeters] 6-Jan-1838 25-Apr-1927 wife of David Q. 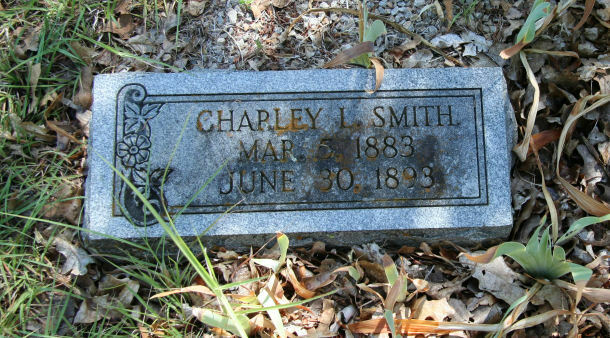 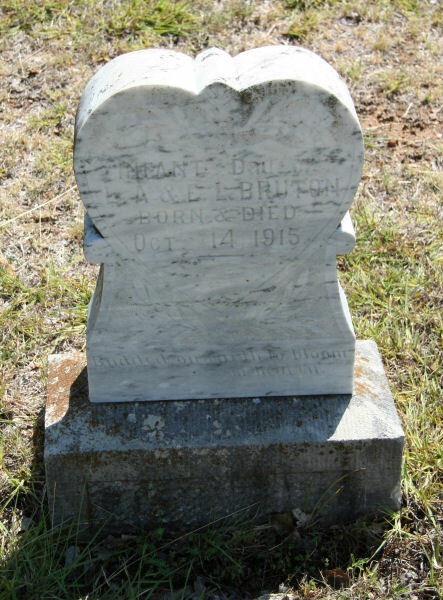 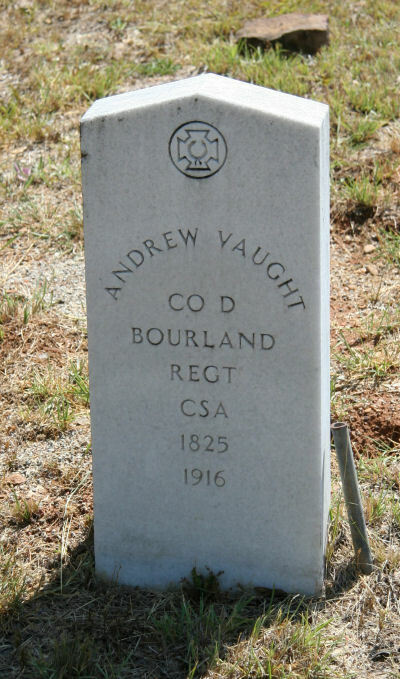 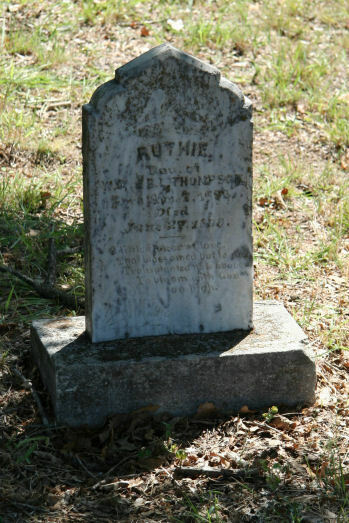 Bruton, Infant 14-Oct-1915 14-Oct-1915 dau of L.A. & E.L.
Byrd, Arthur 12-Oct-1897 4-Feb-1911 son of R.L. 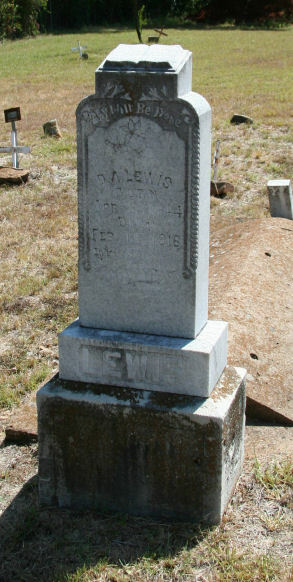 & E.J. 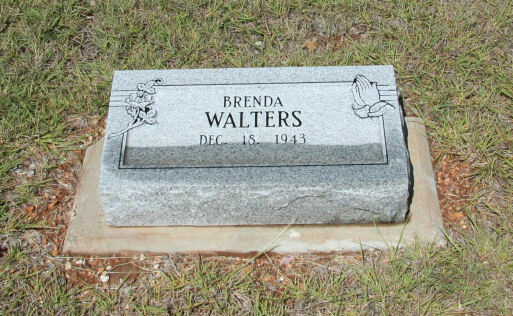 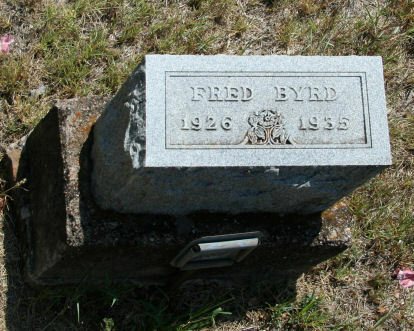 Byrd, Becca [Furry] 25-Jul-1882 7-Jul-1964 dmw J.H. 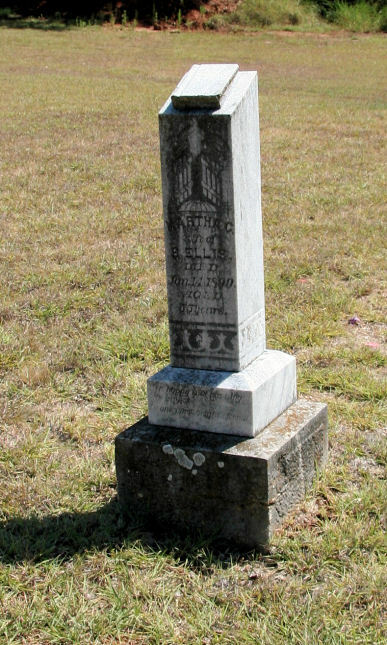 Rebecca A. 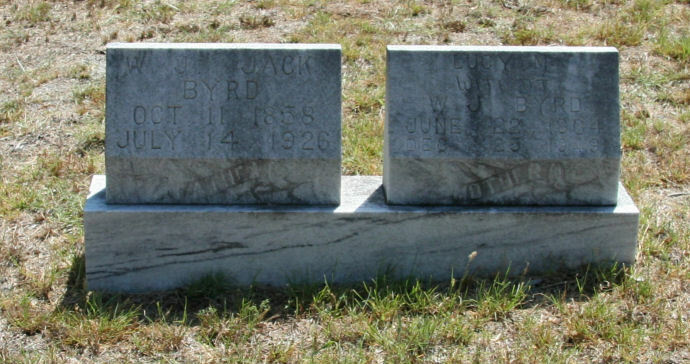 Byrd, Beulah P. 24-Aug-1892 15-Oct-1893 dau of R.L. 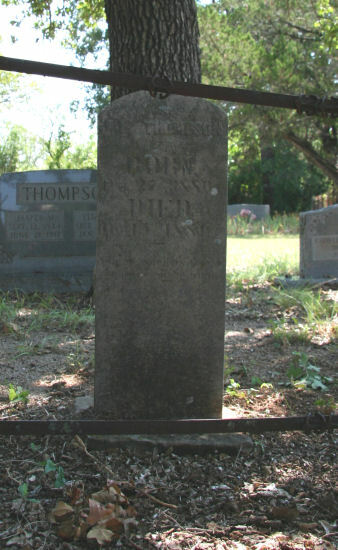 & E.J. 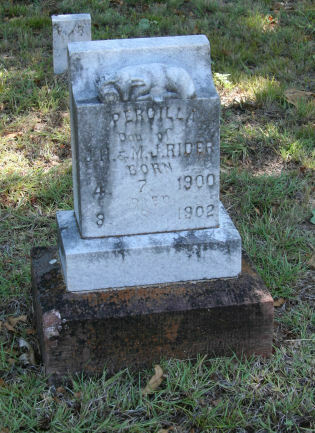 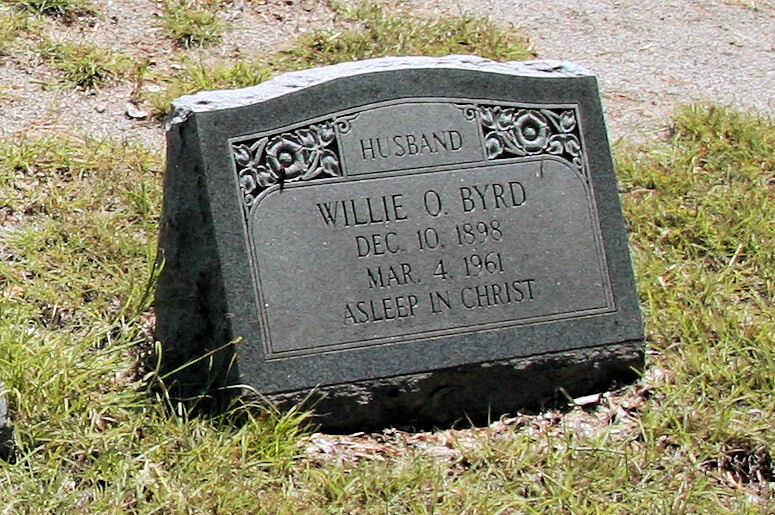 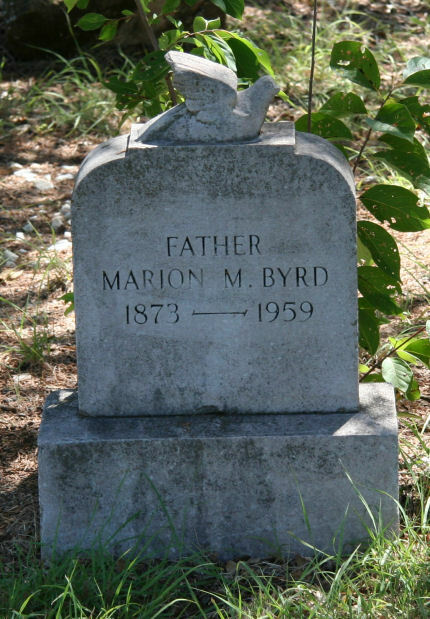 Byrd, Infant 5-Aug-1915 24-Aug-1915 baby of W.M. 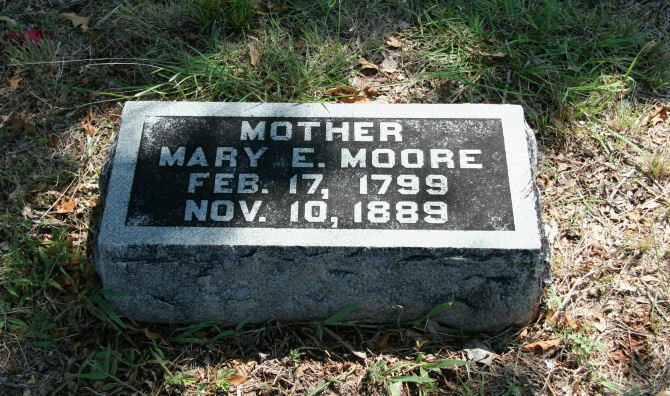 & M.F. 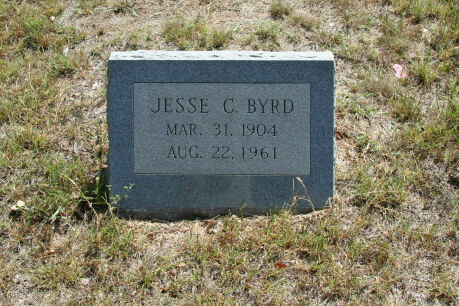 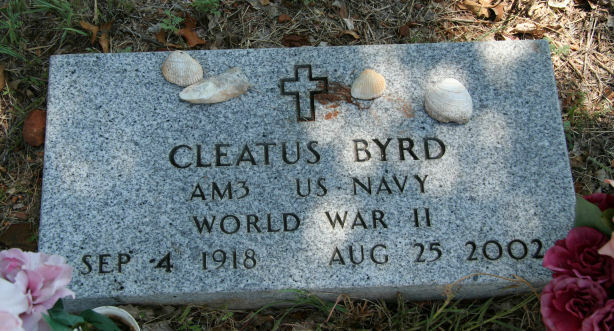 Byrd, Jesse C.(ornelous) 31-Mar-1904 22-Aug-1961 "Dad"
Byrd, Lonnie M. 6-Oct-1904 2-Oct-1907 son of J.H. 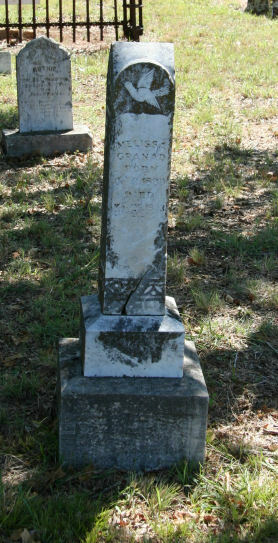 & Rebecca A. 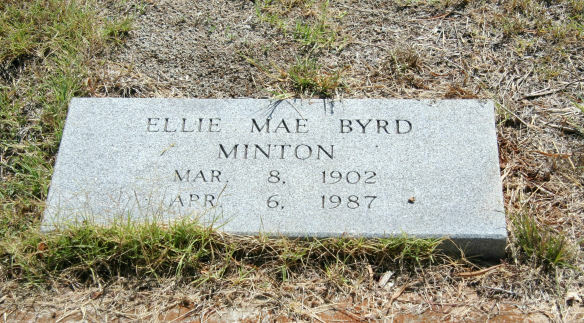 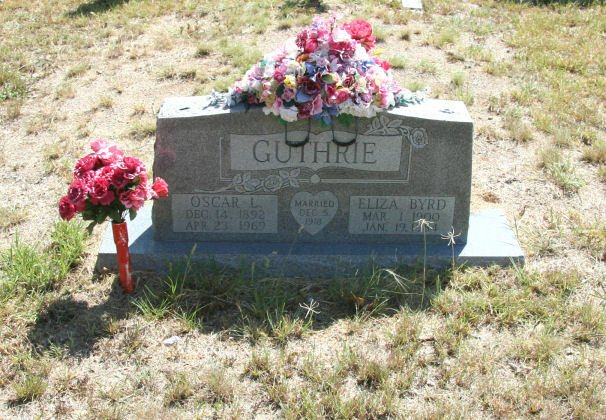 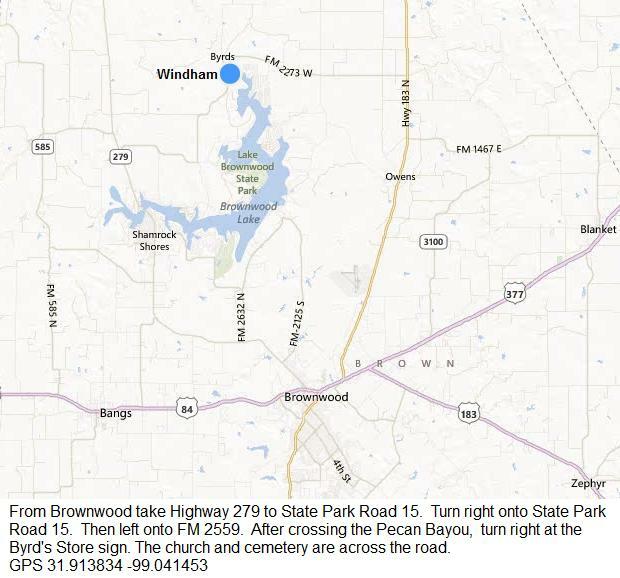 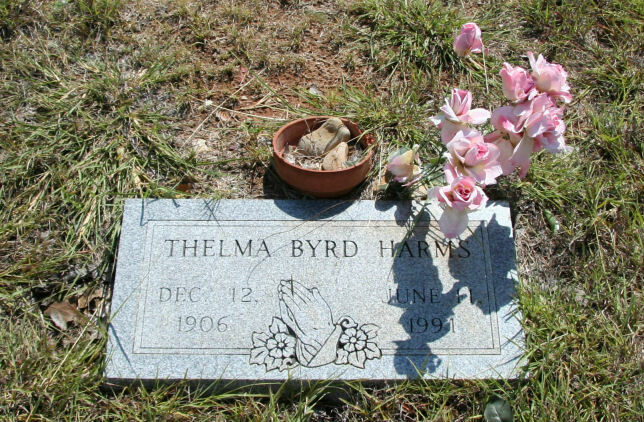 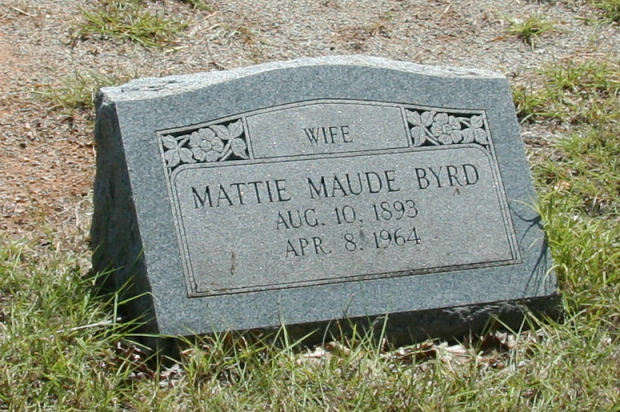 Byrd, Lucy M. 25-Jun-1885 25-Dec-1948 dmw W.J. 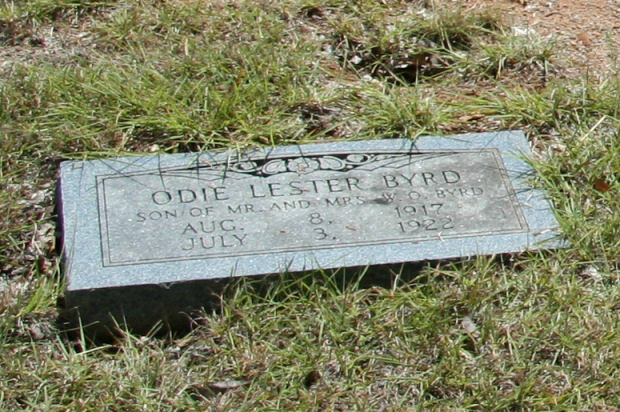 Byrd, Truman Jodie 28-Sep-1909 24-Nov-1914 son of M.S. 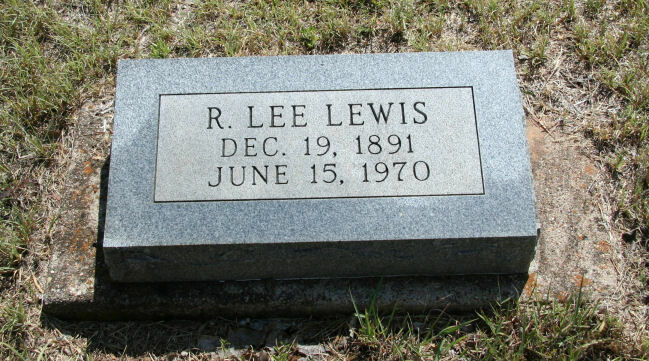 & L.E. 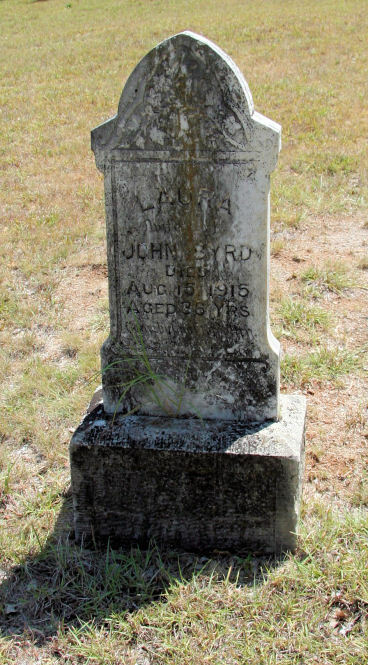 Byrd, W.(iliam) J. 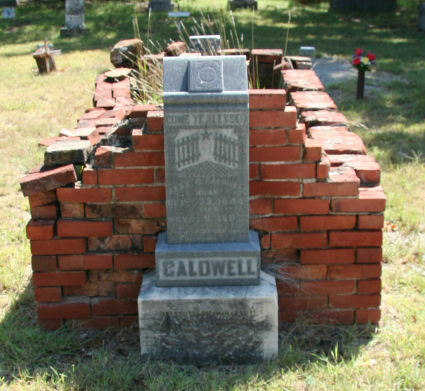 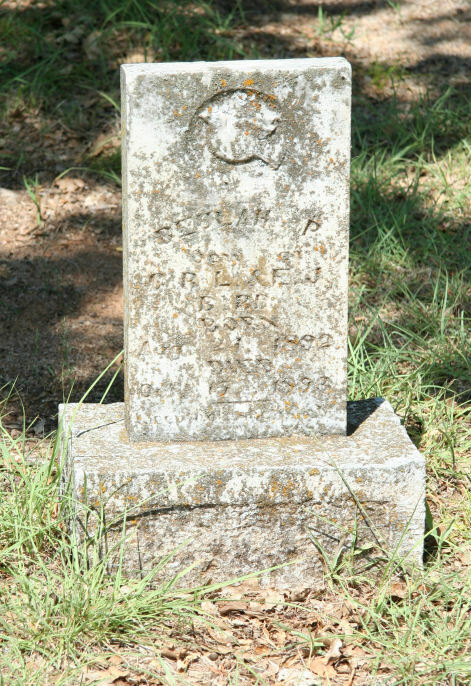 (ackson) 11-Oct-1858 14-Jul-1926 "Jack" dmw Lucy M.
Davis, Chalmer unknown unknown Name only on small stone. 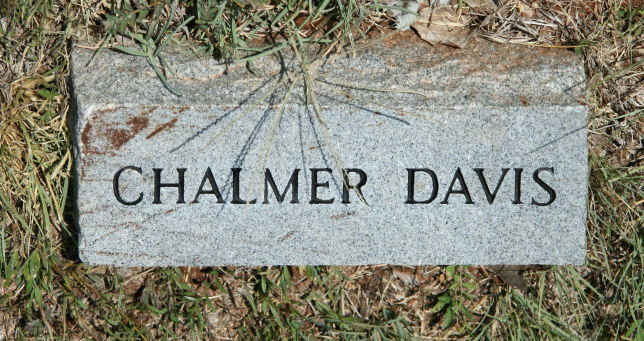 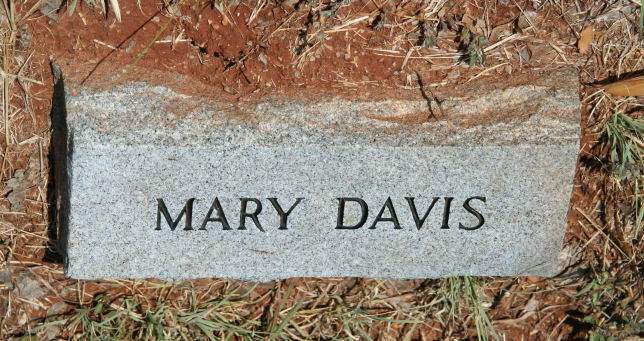 Davis, Mary unknown unknown Name only on small stone. 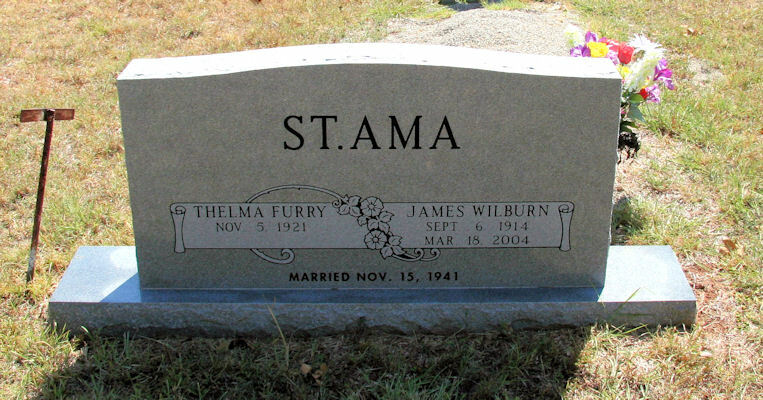 Furry, Bertha A. 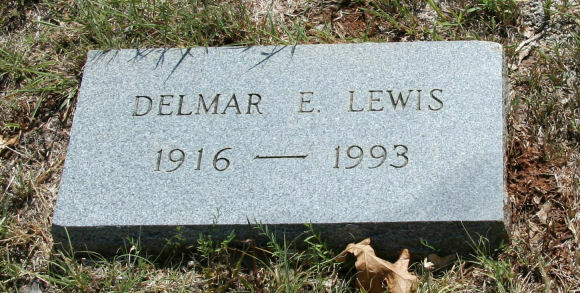 7-Apr-1899 21-Feb-1983 dmw Claude F.
Furry, Claude 13-Jan-1898 16-Apr-1965 dmw Bertha A. 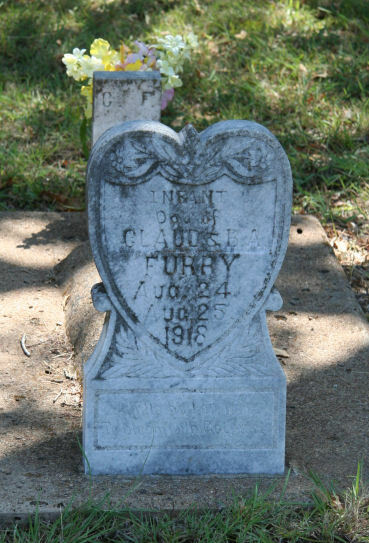 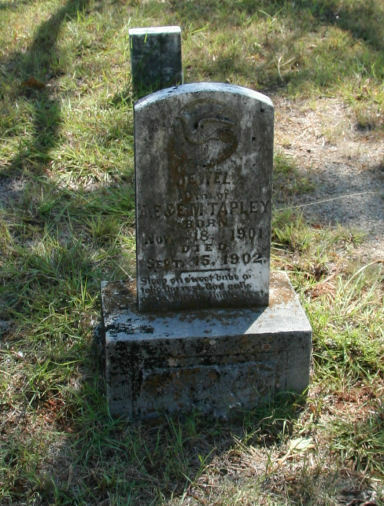 Furry, Infant 24-Aug-1918 25-Aug-1918 dau of Claude & B.A. 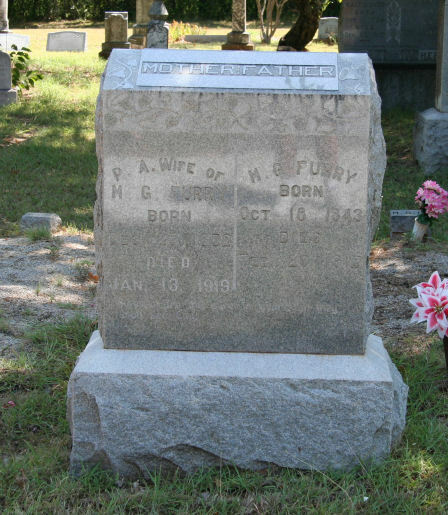 Furry, M.(ichael) G. 18-Oct-1843 20-Feb-1915 dmw P.A. 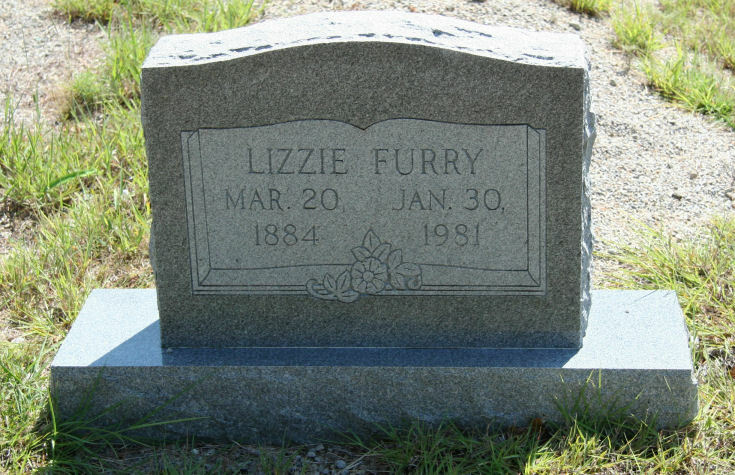 Furry, Nancy May 0-Jul-1891 21-Mar-1895 dau M.G. 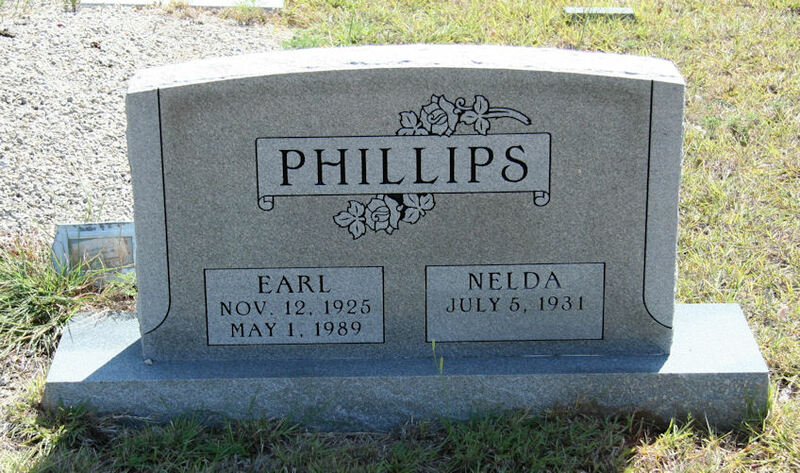 & P.A. 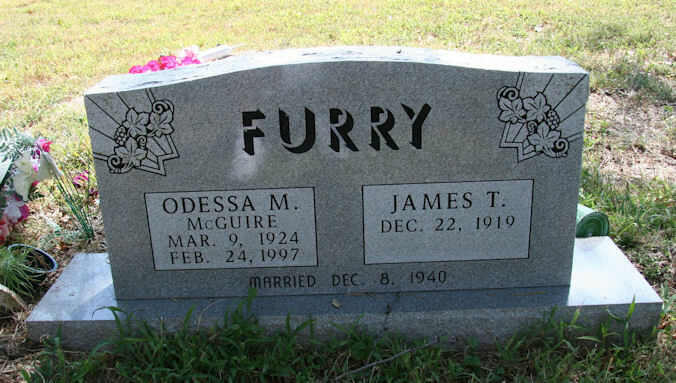 Furry, Odessa M. 9-Mar-1924 24-Feb-1997 dmw James T.
Guthrie, Eliza [Byrd] 1-Mar-1900 dmw Oscar L.
Guthrie, Hershel 6-Nov-1924 4-Feb-1925 son Mr. & Mrs. C.L. 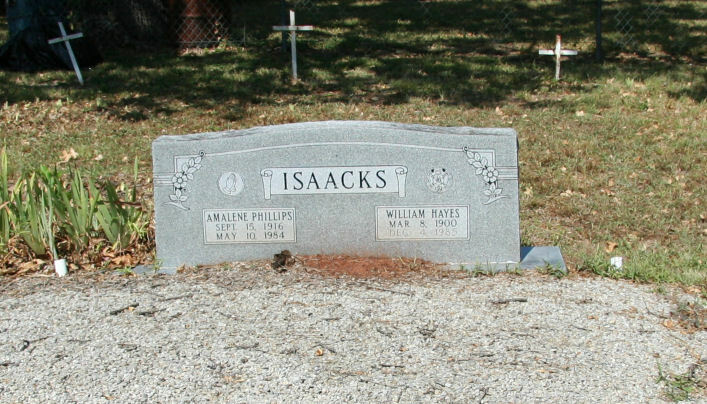 Hays, Silas B. 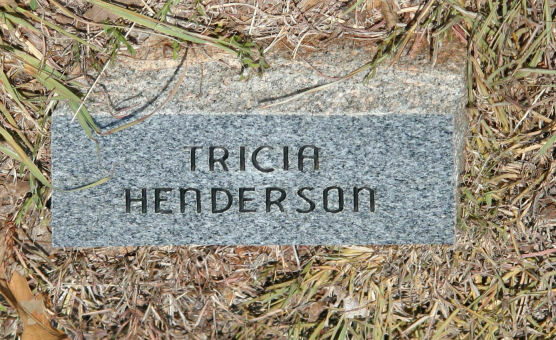 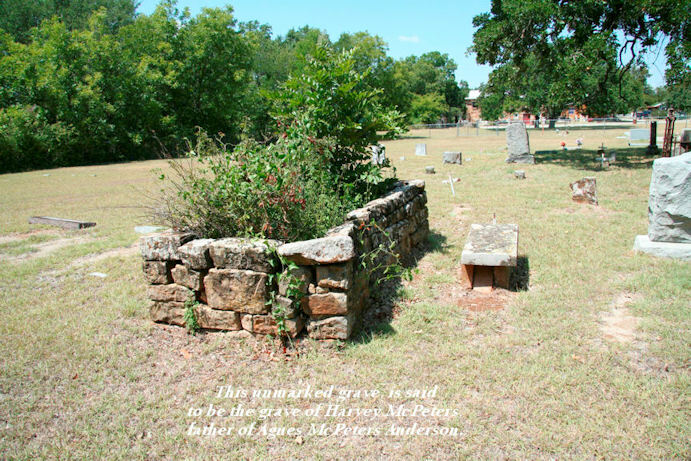 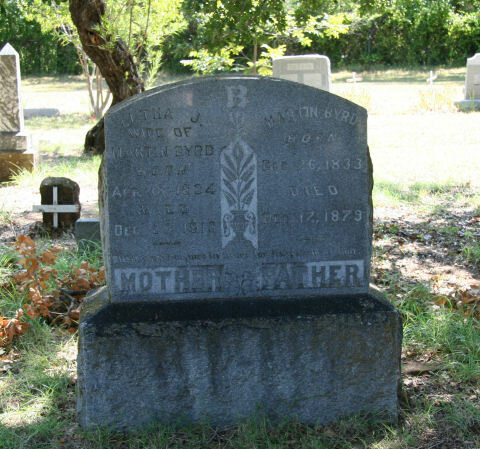 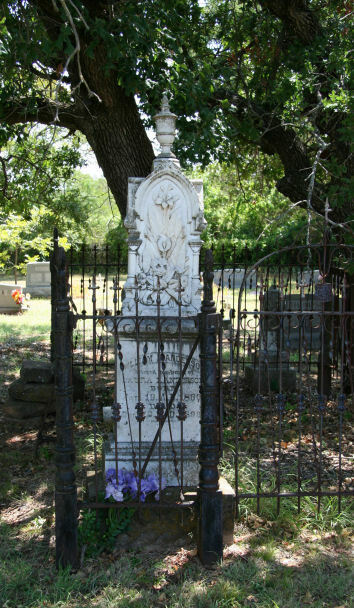 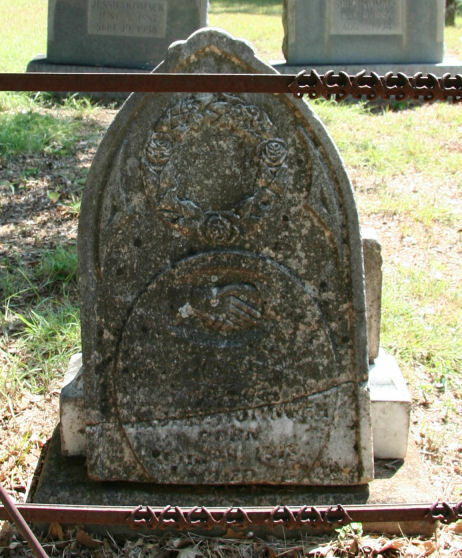 4-Aug-1931 dmw Thelma "Bill"
Hutton, Rebecca 25-Nov-1861 16-Jan-1887 wife of F.M. 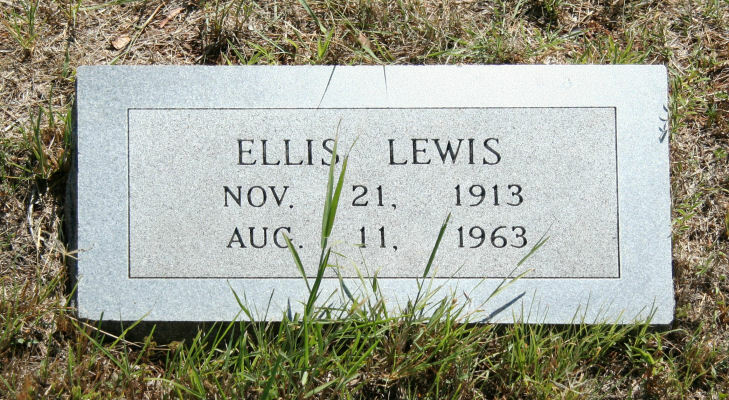 Isaacs, Amalene [Phillips] 15-Sep-1916 10-May-1984 dmw William H.
Lewis, D.A. 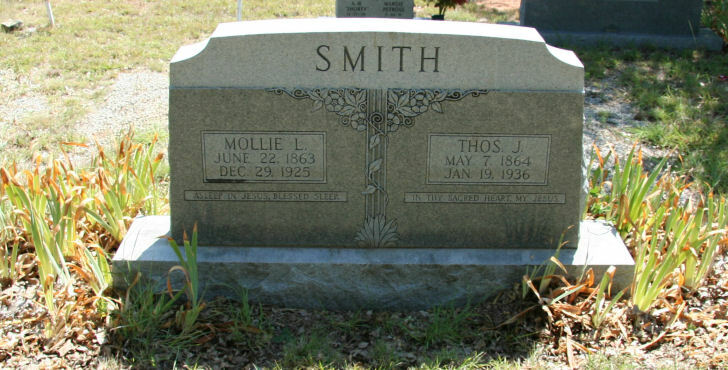 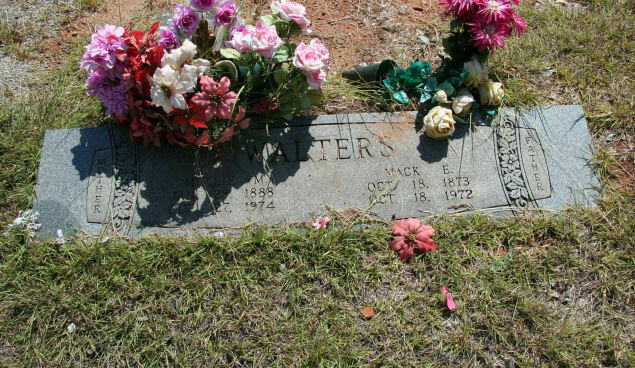 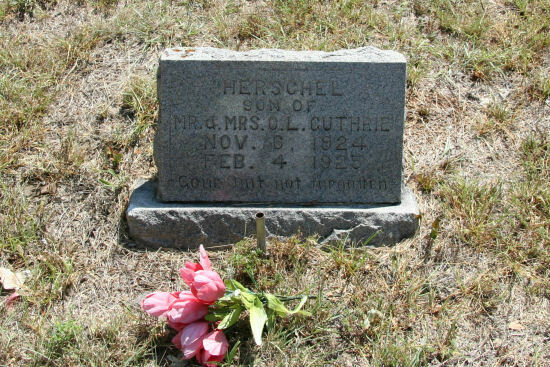 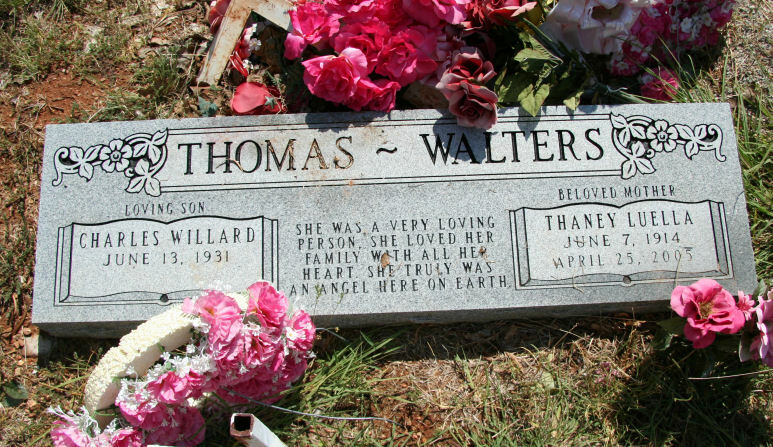 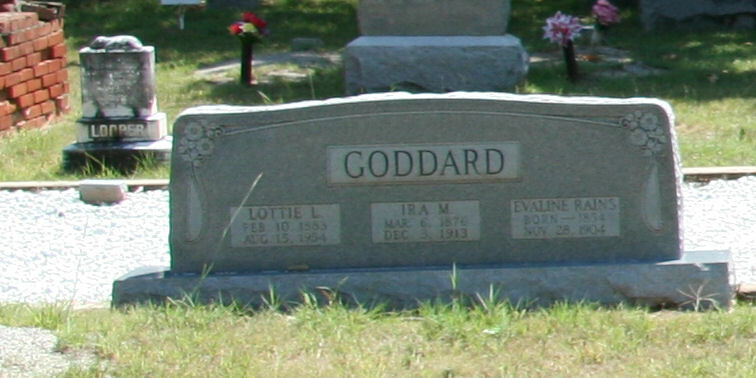 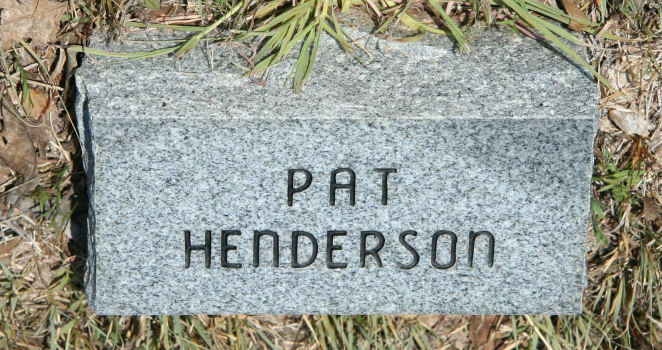 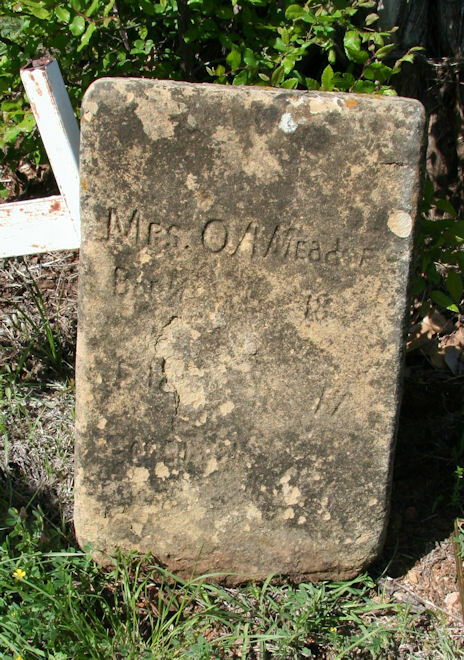 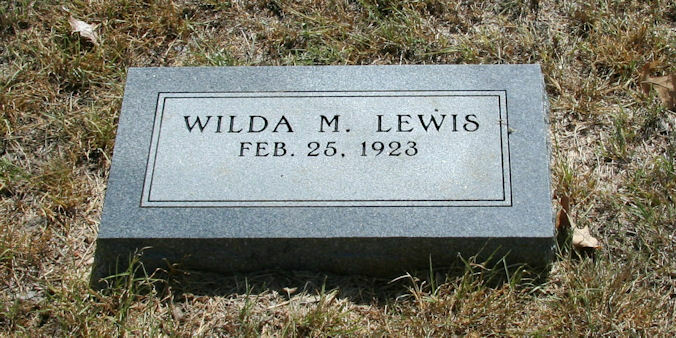 8-Apr-1844 13-Feb-1918 "her life"
Meador, Eddie Thomas 17-Apr-1890 22-Jan-1966 "Bud"
Meador, Lois F. 25-Mar-1914 4-May-2002 dmw William J. 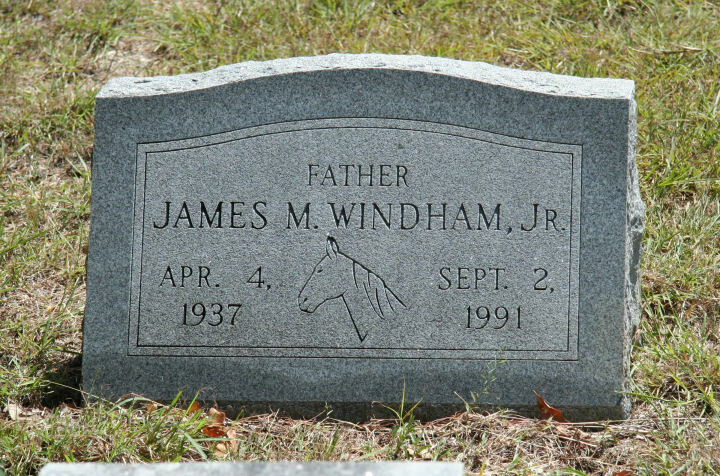 Meador, William J. 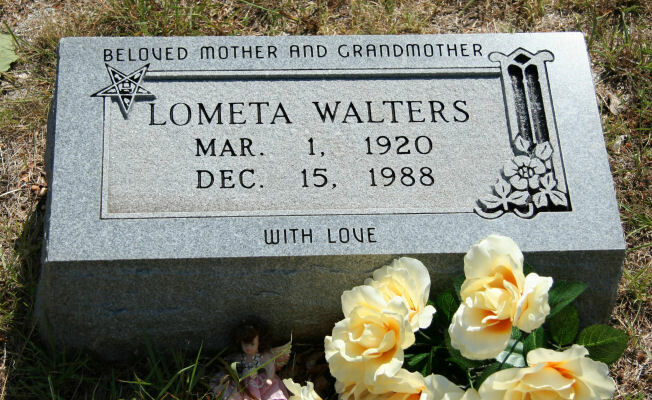 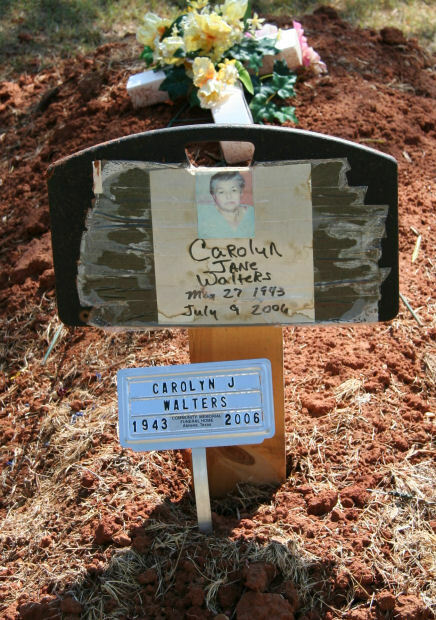 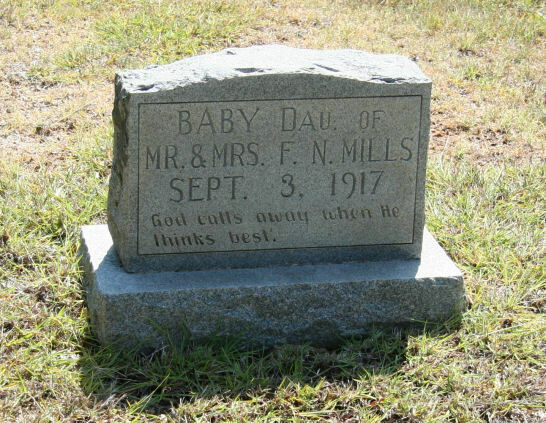 15-Apr-1913 13-Jan-1985 dmw Lois F.
Mills, Baby 3-Sep-1917 3-Sep-1917 dau of F.N. 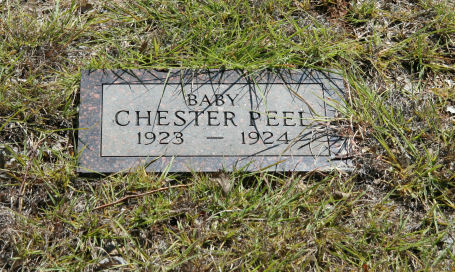 Peel, A.C. Charley 1891 1950 dmw Mary O. 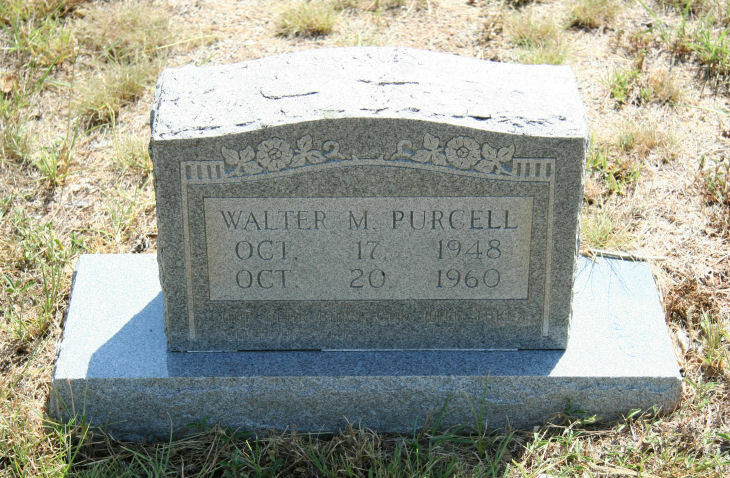 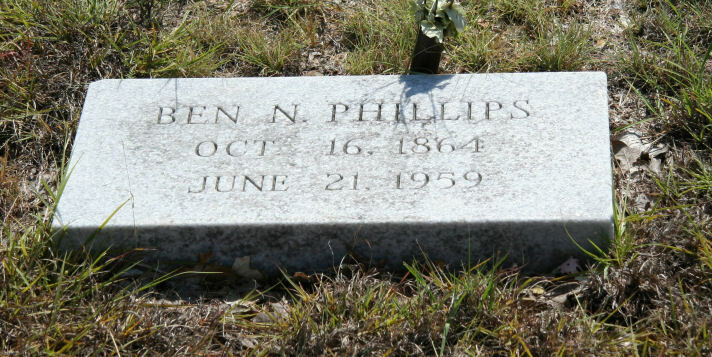 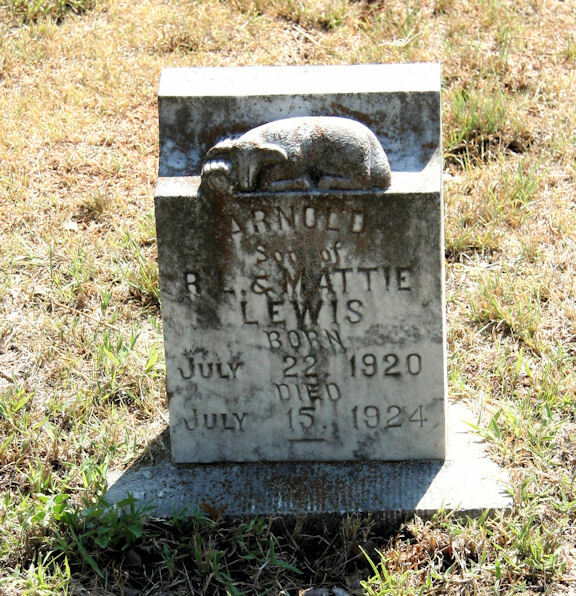 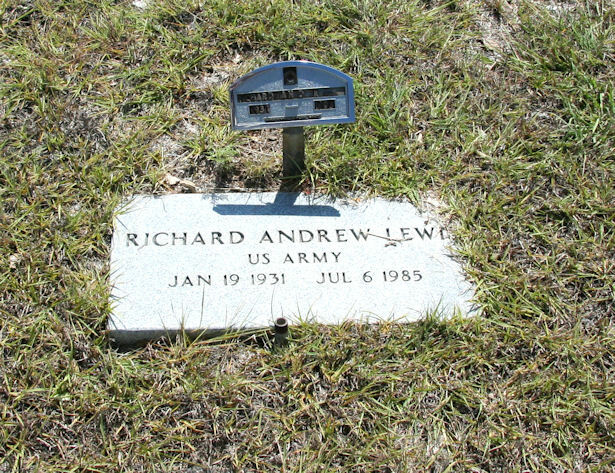 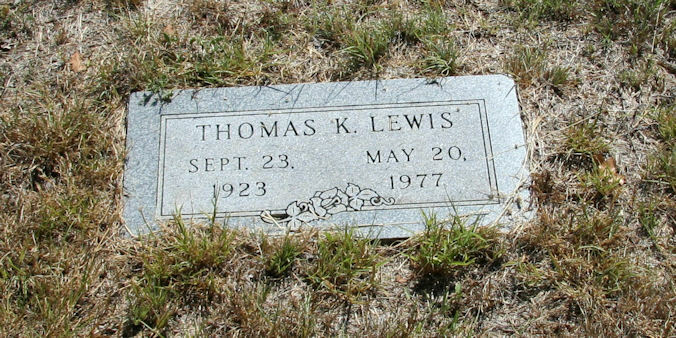 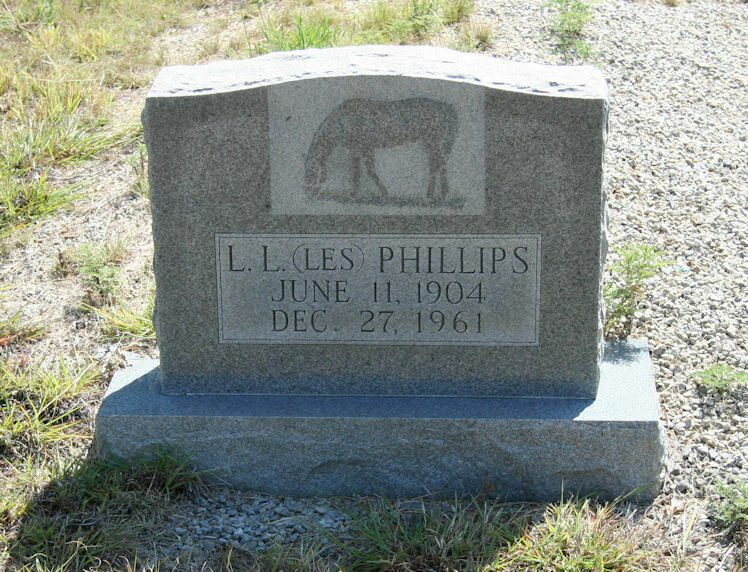 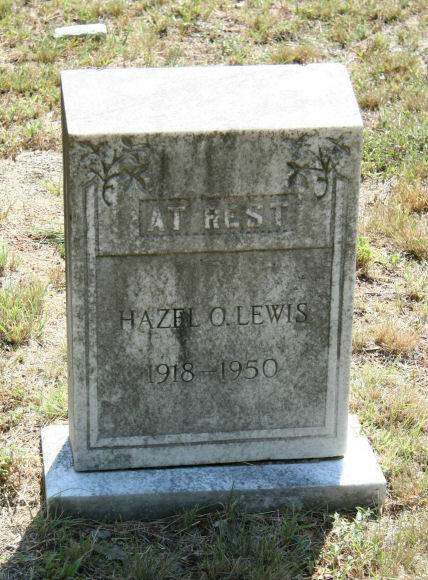 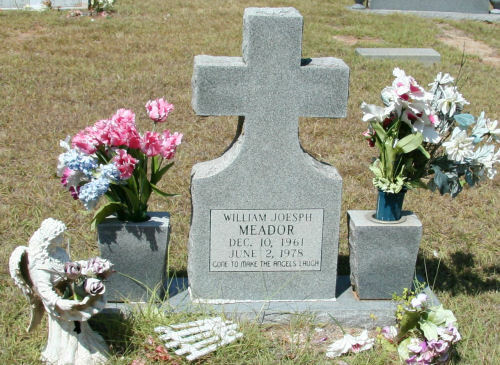 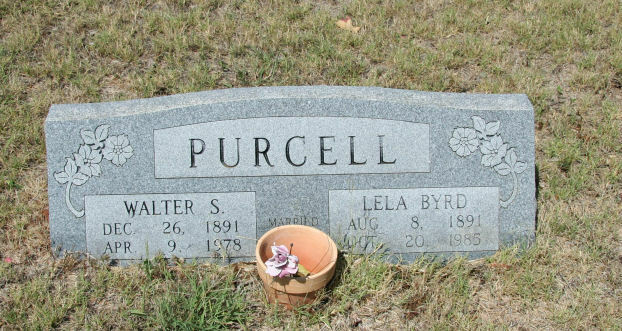 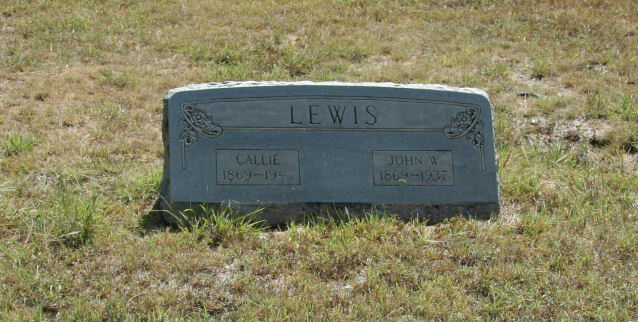 Phillips, A. Eliza 5-Aug-1891 21-Sep-1972 dmw James W.
Phillips, L.(ewis) L.(ester) 11-Jun-1904 27-Dec-1961 "Les" unidentified adult at foot of Lewis L.
Phillips, S.(tonewall) Jack(son) 4-Jul-1861 25-Aug-1934 "Father" - dmw Mary E.
Purcell, Lela [Byrd] 8-Aug-1891 20-Oct-1985 dmw Walter S.
Rider, Percilla 7-Apr-1900 8-Aug-1902 dau of J.H. 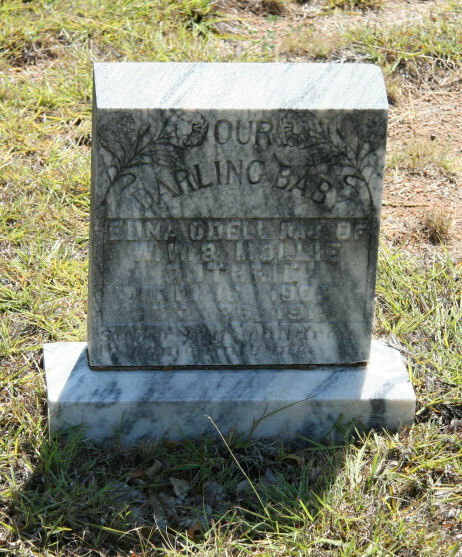 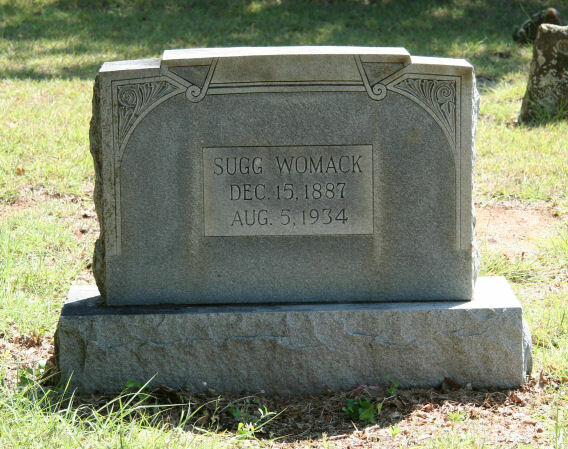 & M.J.
Sikes, Stella C.(olumbia) 3-Apr-1898 29-Oct-1979 dmw Ulas H.
Sikes, Ulas H. 6-Nov-1898 17-Mar-1971 dmw Stella C.
Smith, Mollie L. [Phagans] 22-Jun-1863 29-Dec-1925 dmw Thomas J. 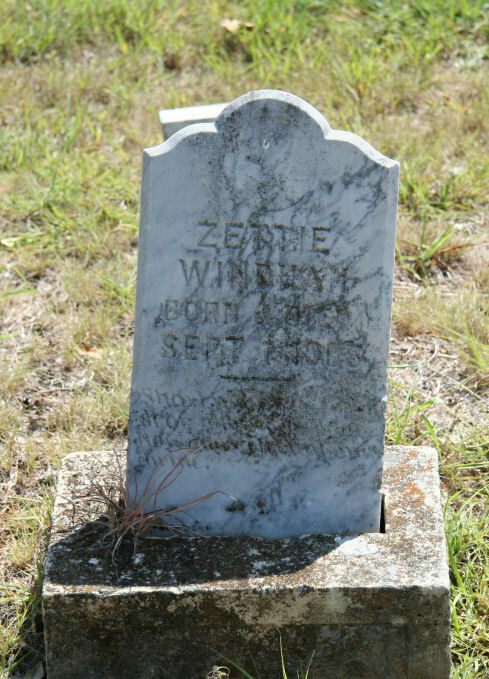 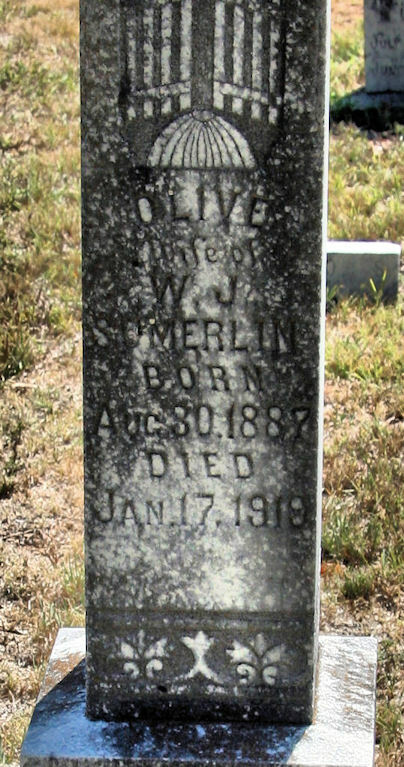 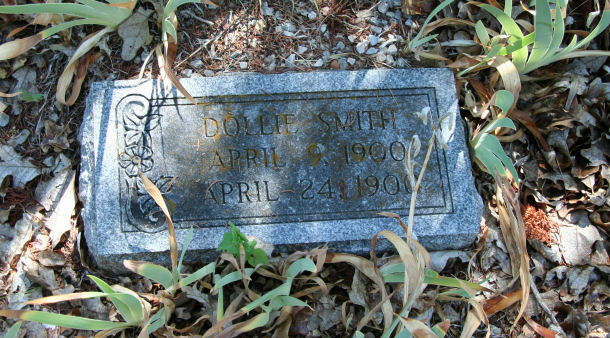 Sumerlin, Olive 30-Aug-1887 17-Jan-1919 wife of W.J. 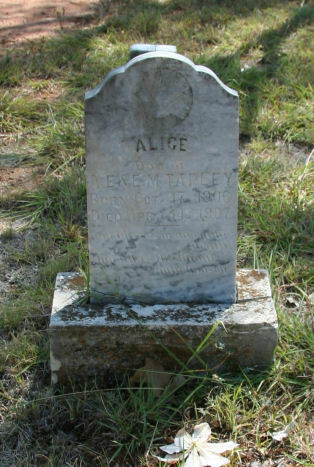 Tapley, Alice 17-Oct-1906 14-Apr-1907 dau of A.E. 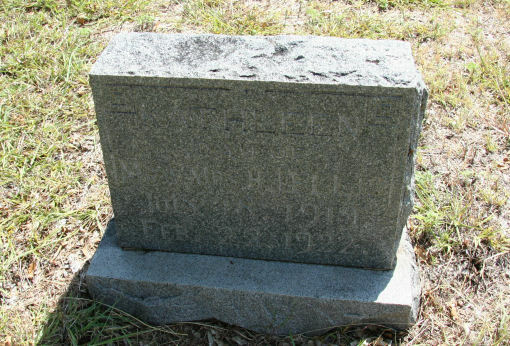 & E.M.
Tapley, Jewel 18-Nov-1901 15-Sep-1902 dau of A.E. 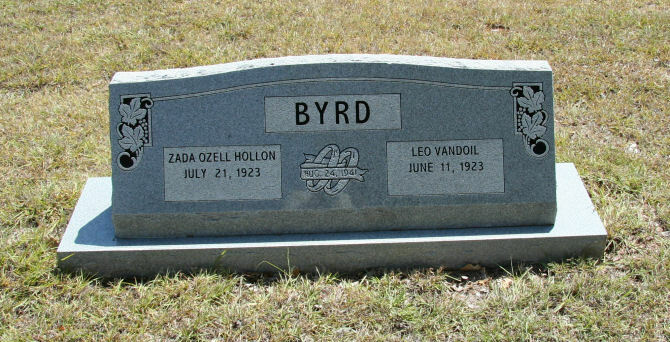 & E.M.
Tapley, Ludie B. 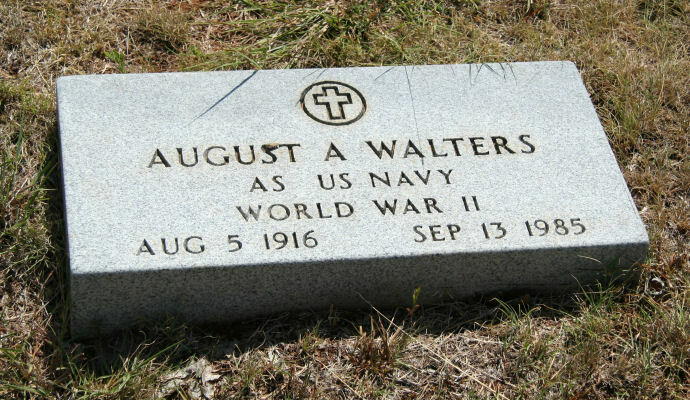 17-Oct-1906 14-Apr-1907 dau of A.E. 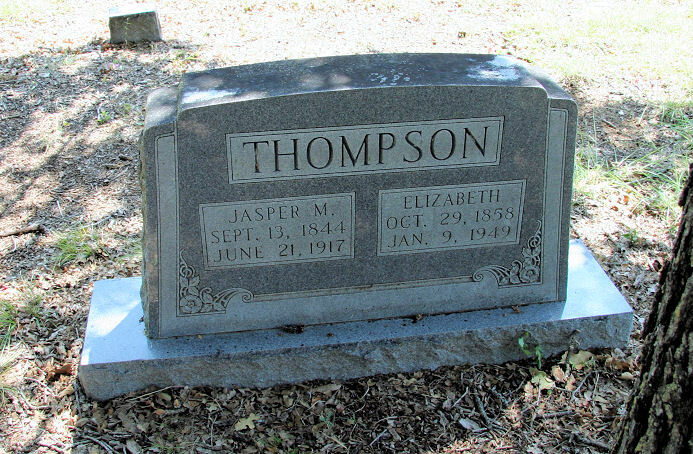 & E.M.
Thompson, Ruthie 7-Apr-1896 27-Jun-1899 dau of W.A. 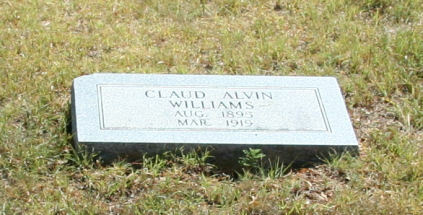 & A.L. 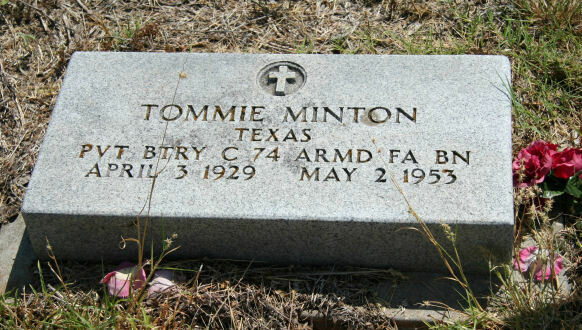 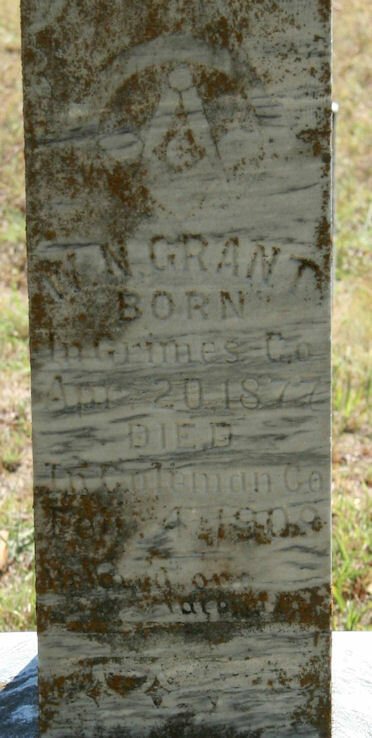 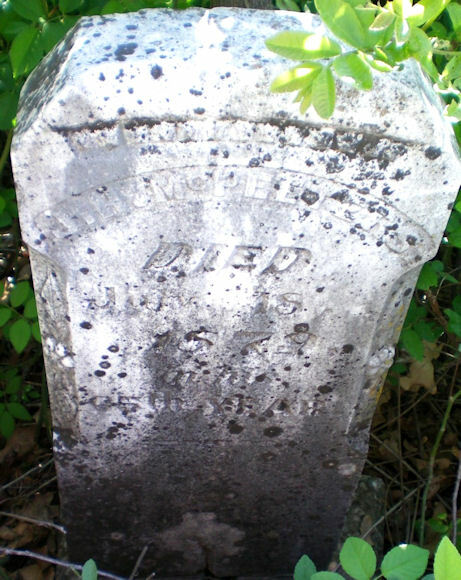 Tipton, George E. unknown unknown Stone marked age 30 years only. 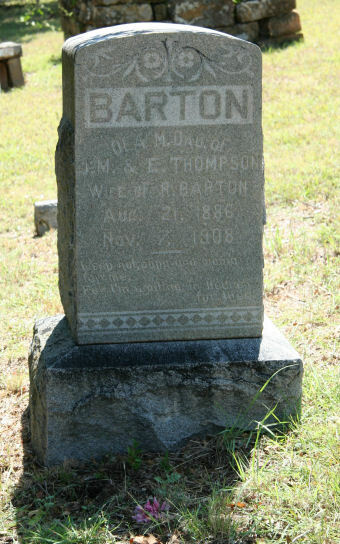 Tipton, Willie L. 5-Jan-1897 8-May-1898 son of G.E. 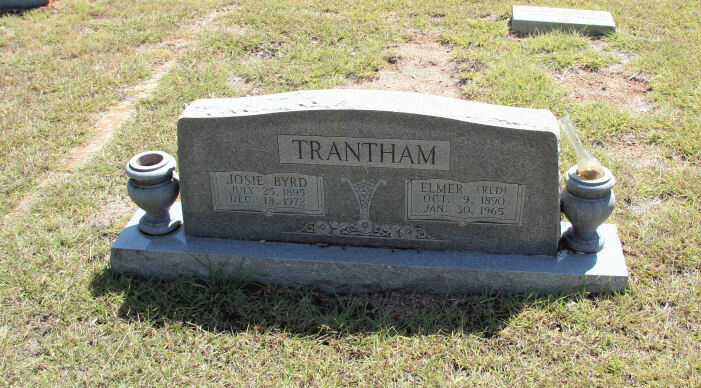 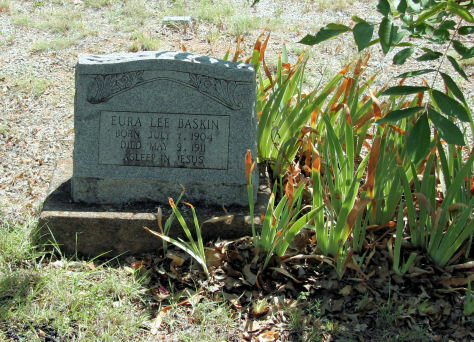 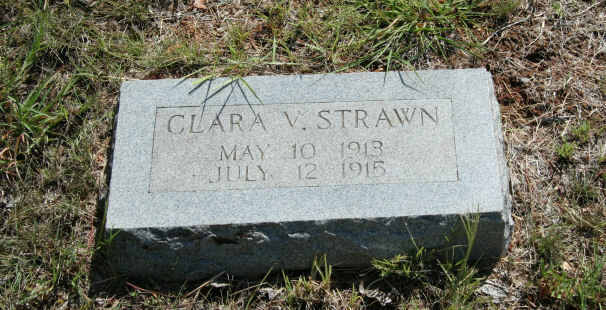 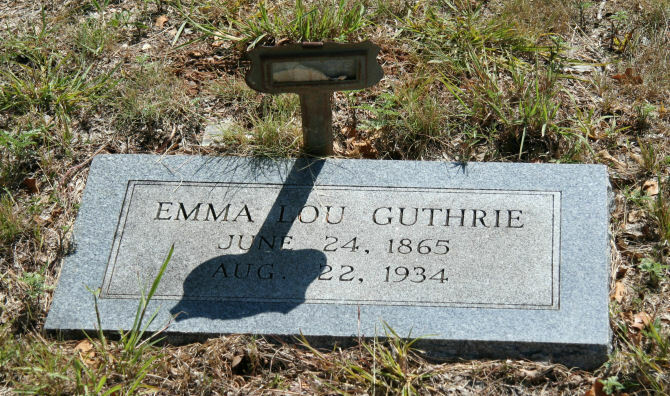 & Laura P.
Trantham, Elmer 9-Oct-1890 30-Jan-1965 "Red" dmw Josie B. 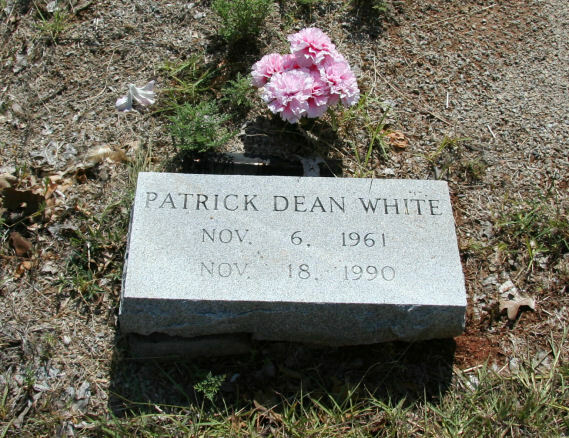 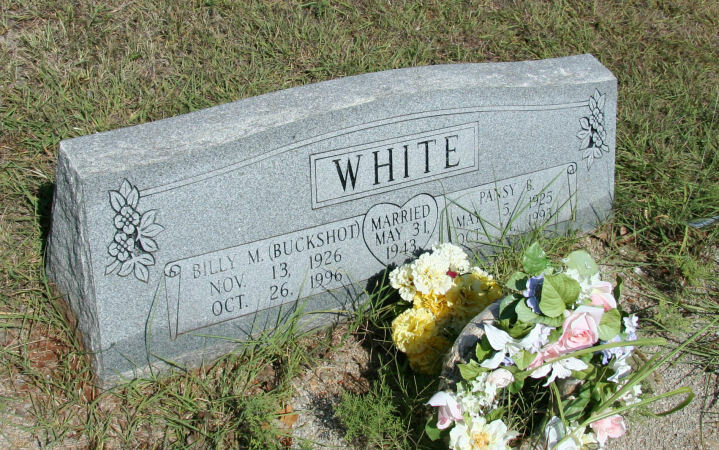 White, Pansy B. 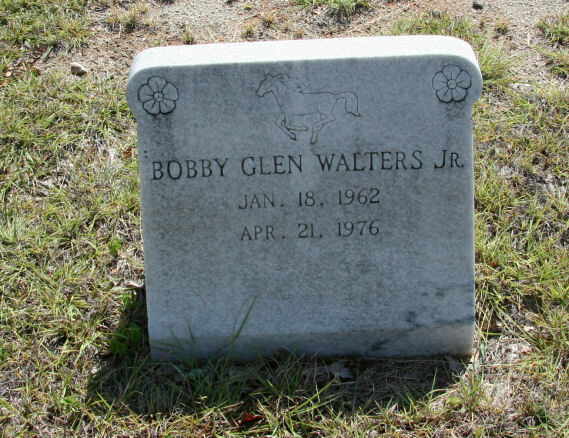 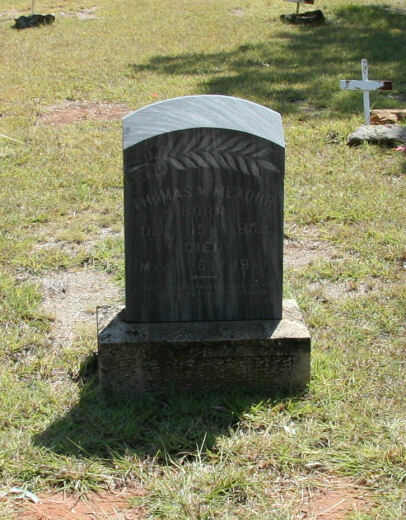 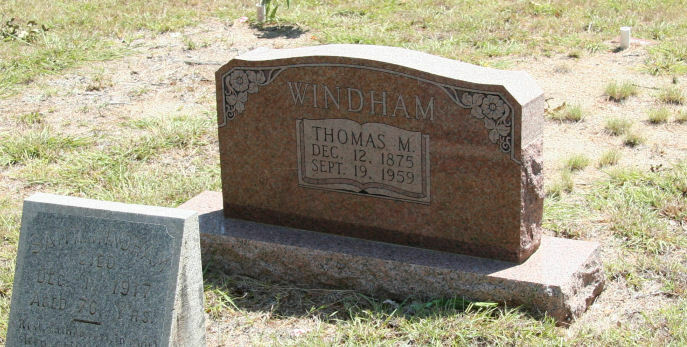 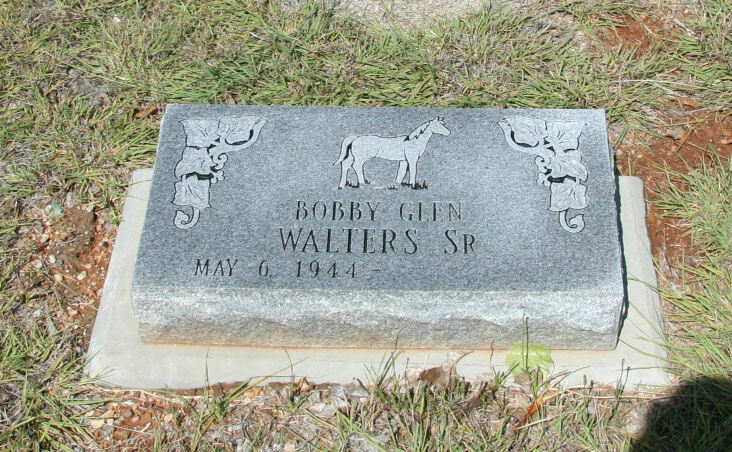 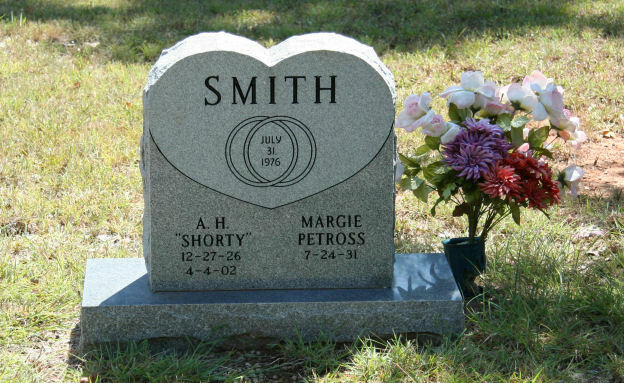 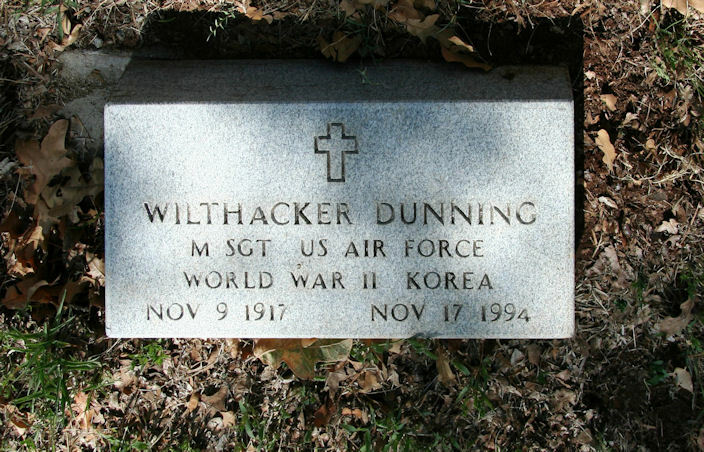 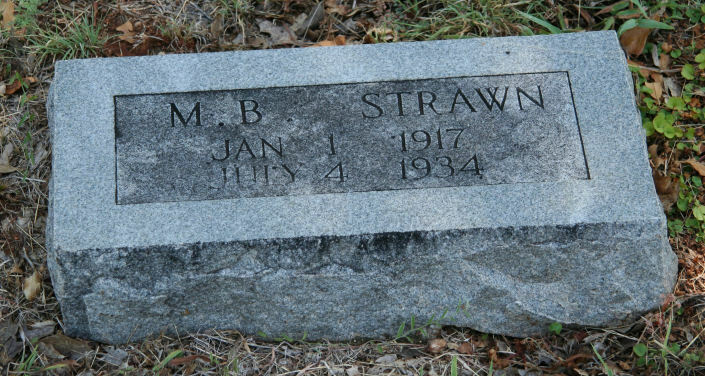 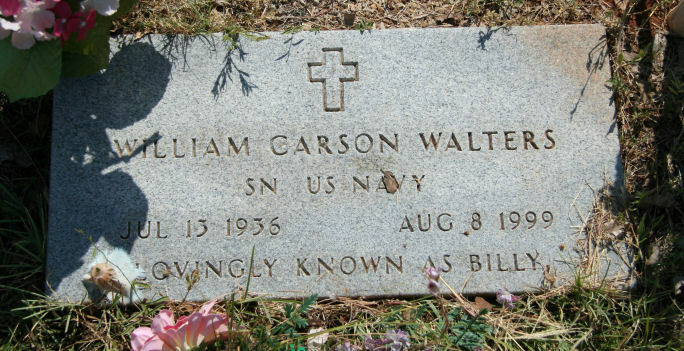 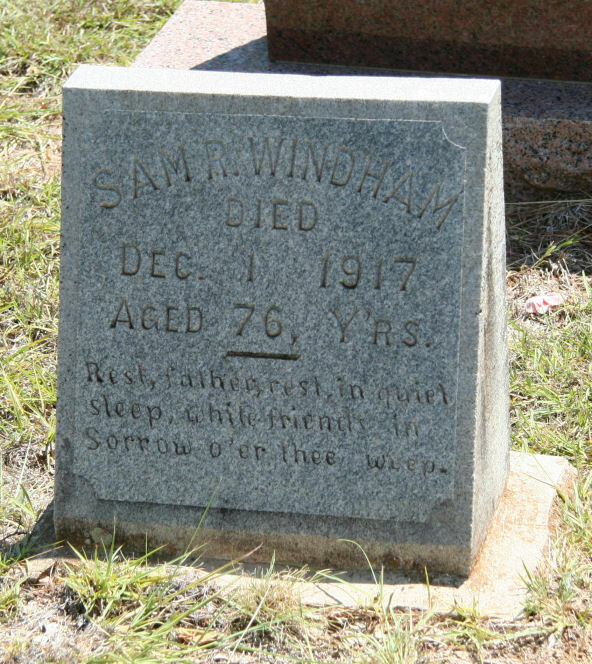 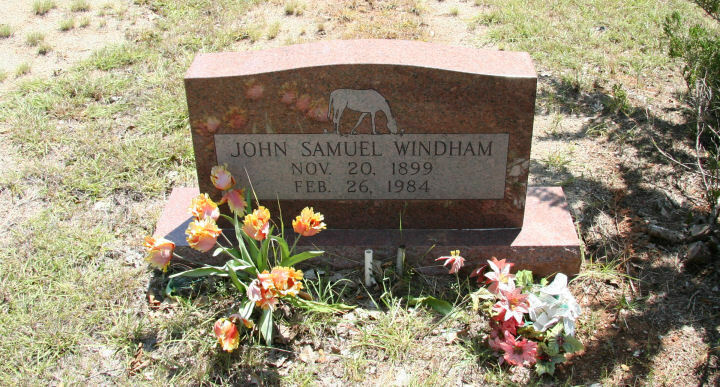 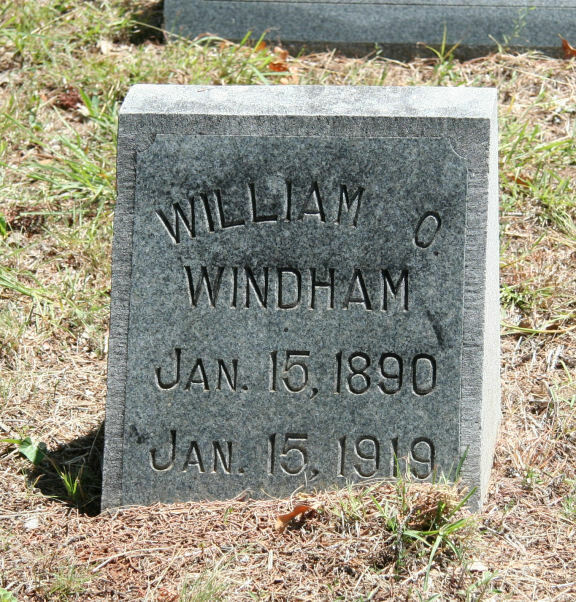 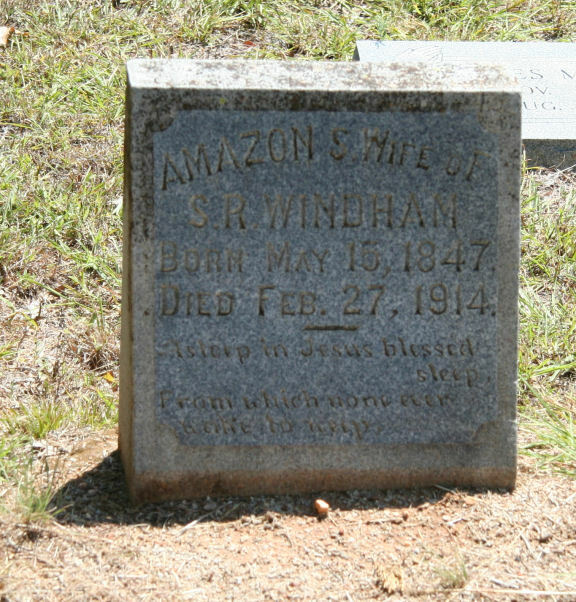 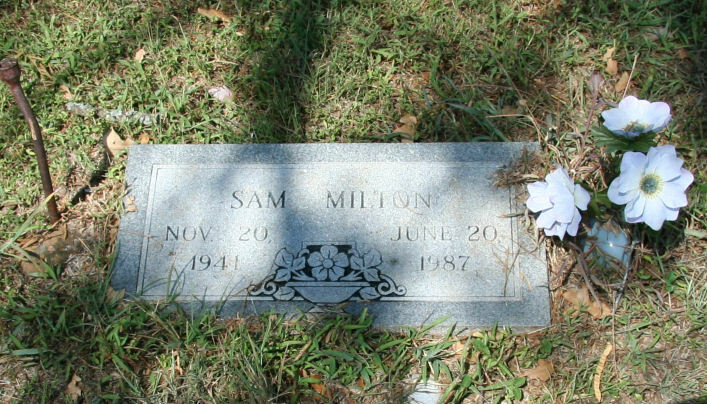 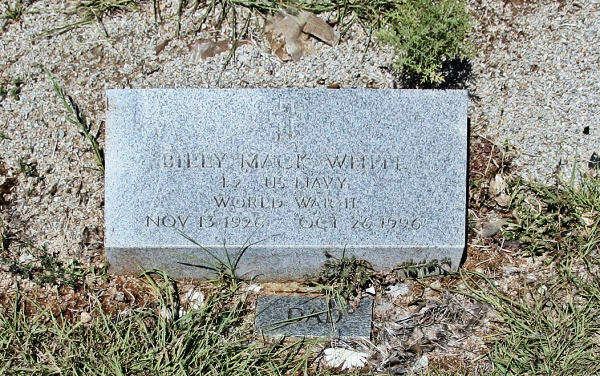 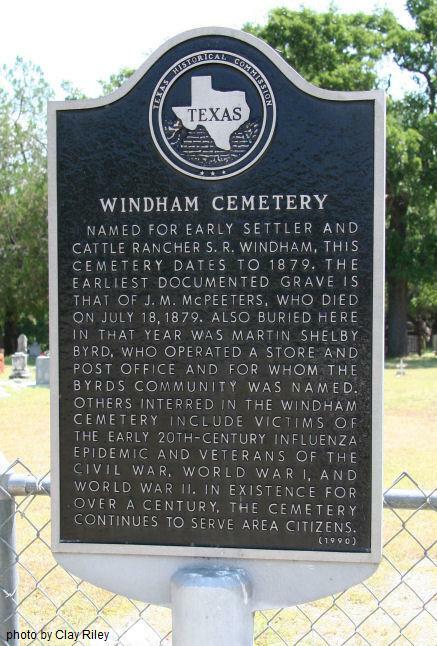 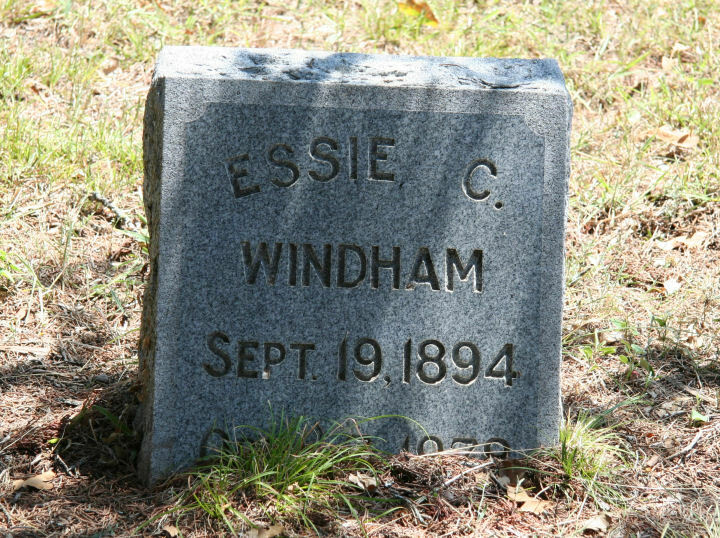 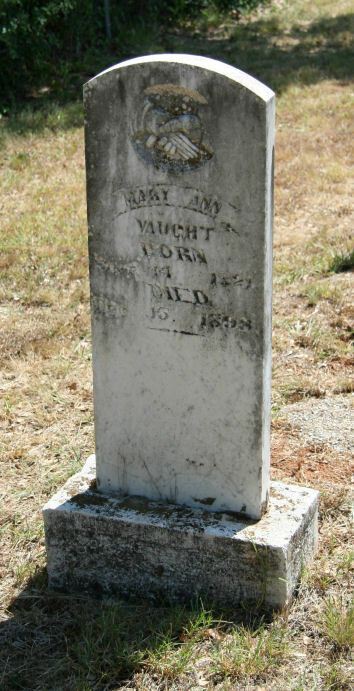 15-May-1925 14-Oct-1993 dmw Billy M.
Windham, Amazon S. [Baugh] 15-May-1847 27-Feb-1914 wife of Sam R.
Windham, Emily Claudeen 6-Aug-1926 4-Dec-2005 dmw Carl, Jr.
Windham, James M. 4-Apr-1937 2-Sep-1991 "Father"
Windham, Theodocia 3-Aug-1866 20-Dec-1887 wife of J.L. 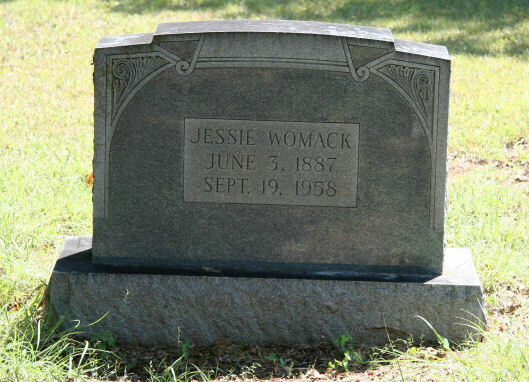 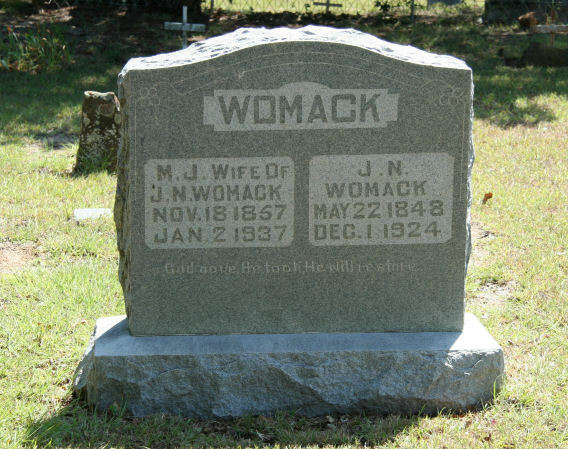 Womack, J. 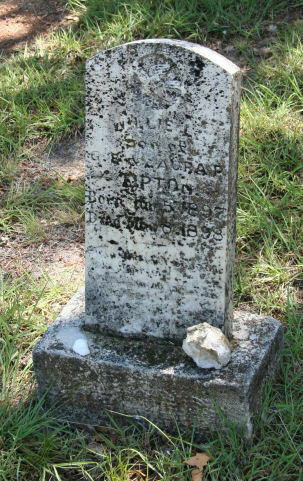 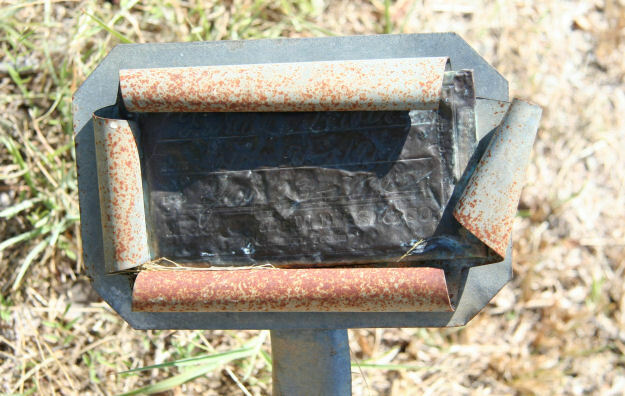 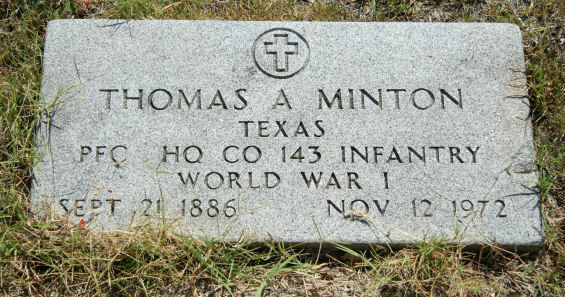 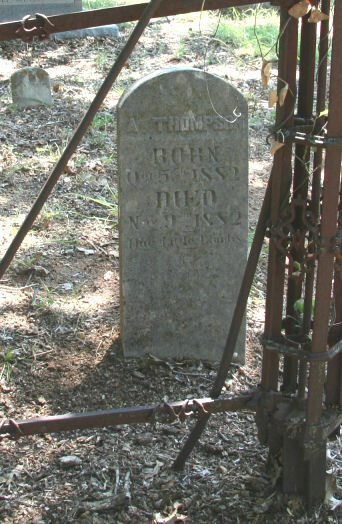 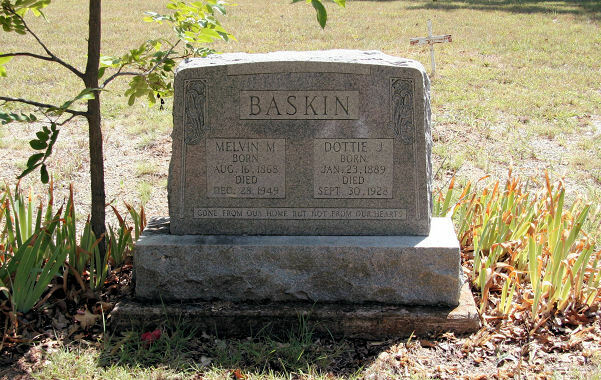 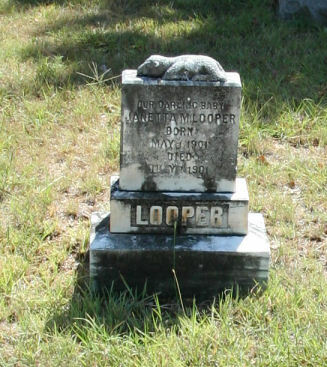 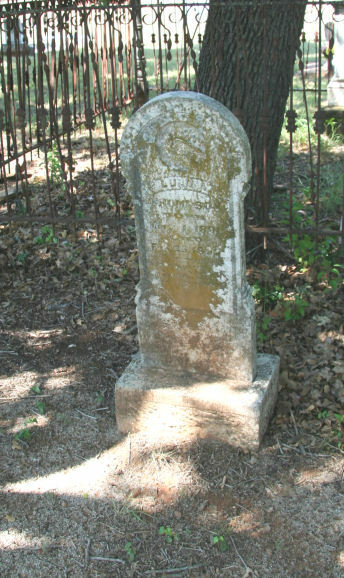 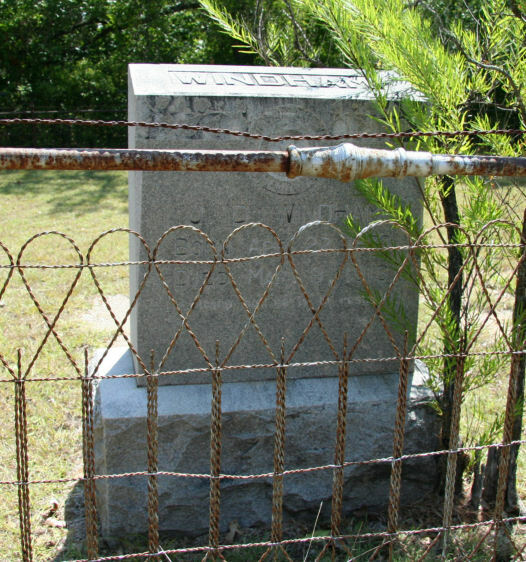 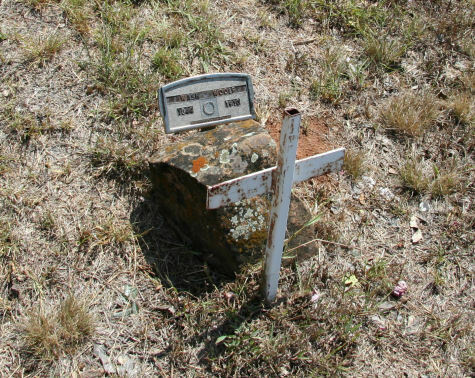 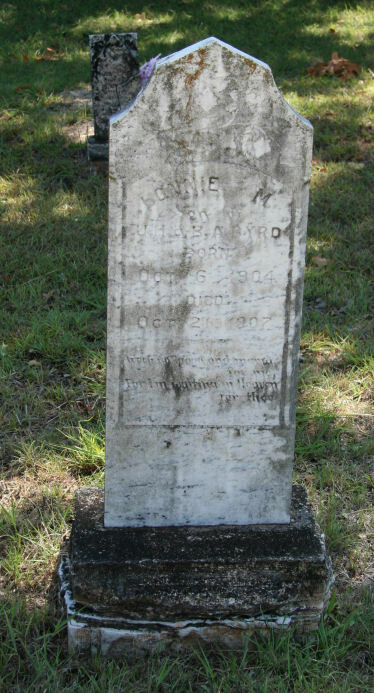 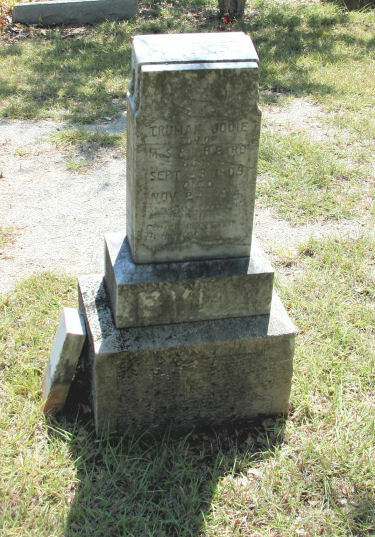 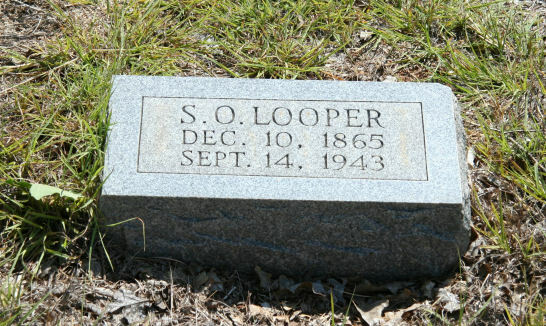 (asper) N.(ewton) 22-May-1848 1-Dec-1924 dmw M.J.